Pakistan informed the United Nations (UN) on Thursday of Prime Minister Imran Khan’s initiative for an international campaign against defamation of religions. 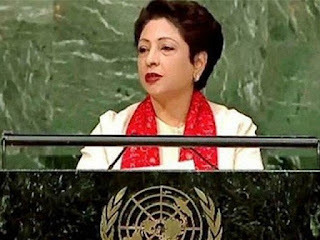 Speaking at the Eighth Global Forum of the United Nations Alliance of Civilization, Pakistan’s Ambassador to the UN, Maleeha Lodhi, said the premier had made a major announcement to counter Islamophobia and incitement to hatred being witnessed in some parts of the world. “Hate narratives are spreading in several parts of the world; Islamophobia is on the rise and diversity is being seen not as a source of enrichment but as a threat, and politics of fear seem to be replacing politics of hope,” she asserted. She also stressed the importance of countering Islamophobia and incitement to violence and hatred that is being witnessed in some parts of the western world by the negative depiction of Muslims. The government of Pakistan, she added, was committed to actively engage in efforts to promote tolerance and understanding and “believed in sincere and open dialogue to promote international cooperation, global peace and security”. Reiterating Pakistan’s firm belief that universal values of peace, tolerance, egalitarianism and respect for humanity, were shared by all religions and cultures, Ambassador Lodhi stressed that “this common heritage should enable the world to draw strength from its diversity rather than allowing it to be used as justification to accentuate differences”. “The complex task of peace-building,” she argued, “can only be accomplished when we collectively build on a common vision of a peaceful world and adopt an inclusive approach to promote better understanding”. Ambassador Lodhi also underscored that the Alliance of Civilizations, a political initiative launched by late Secretary-General Kofi Annan to build mutual respect and understanding among people of different cultural and religious identities, had the potential to engage faith leaders to join this collective endeavor to promote tolerance and understanding. “Multilateralism,” she observed, “is under assault while purveyors of unilateralism are asserting themselves ever more vigorously in some democracies”.